Although The CW president Mark Pedowitz played it cool when asked how likely it was that the network would actually follow through on its plans for a Batwoman standalone series at the TCAs yesterday—“we have committed, hopefully, to do a pilot, subject to development, for next midseason for Batwoman. 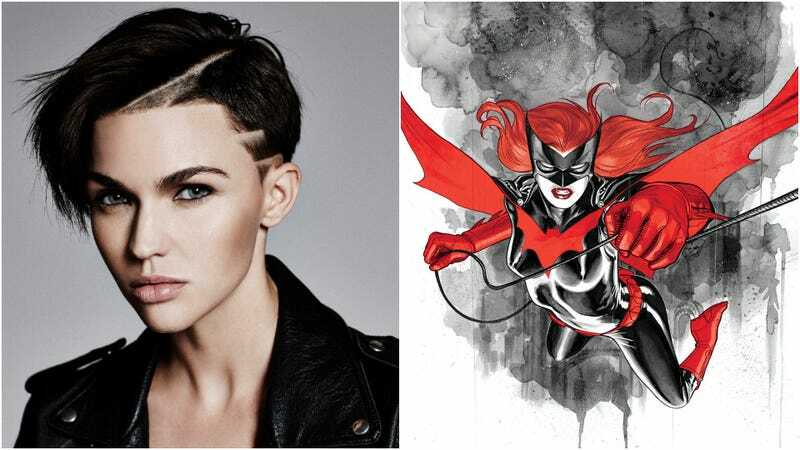 Whether it goes to series, I cannot tell you yet,” he said—here’s one indication that it’s serious: Ruby Rose has been cast as Kate Kane, a.k.a. Batwoman, for at least the annual DC crossover event in December. Armed with a passion for social justice and a flair for speaking her mind, Kate Kane soars onto the streets of Gotham as Batwoman, an out lesbian and highly trained street fighter primed to snuff out the failing city’s criminal resurgence. But don’t call her a hero yet. In a city desperate for a savior, Kate must overcome her own demons before embracing the call to be Gotham’s symbol of hope.